Corporate Services PowerPoint templates, backgrounds Presentation slides, PPT Themes and Graphics. 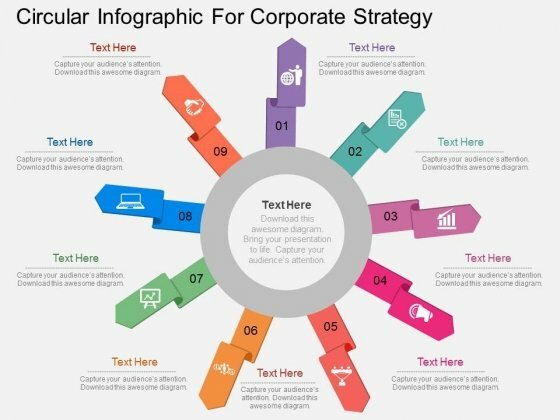 Download this PowerPoint template to create an attention grabbing team introductory slide. 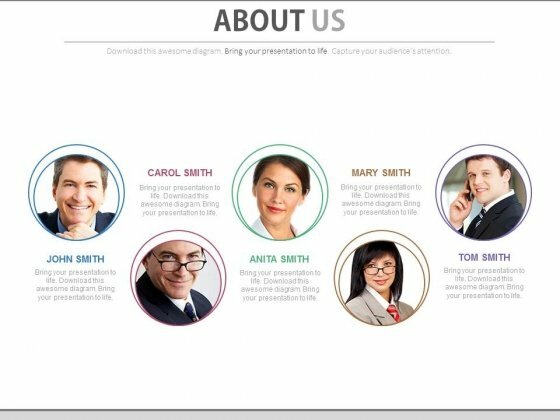 It contains slide design of business team with profile details. Use this professional slide design to build a good reputation of your team. Take the plunge with our Business Team For Quality Corporate Services Powerpoint Slides. Success will surely ensue. Download this exclusive business diagram to present corporate team planning. This PowerPoint template contains the graphic of business team silhouettes on corporate background. This diagram can be useful for business presentations. 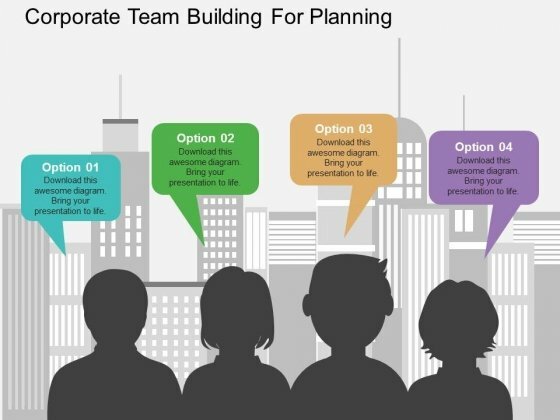 Take the plunge with our Corporate Team Building For Planning Powerpoint Templates. Success will surely ensue.